These look absolutely divine. I see you have several glasses of deliciousness there, i hope one of them is for me. I have a recipe for chocolate cups that I am in love with, too. 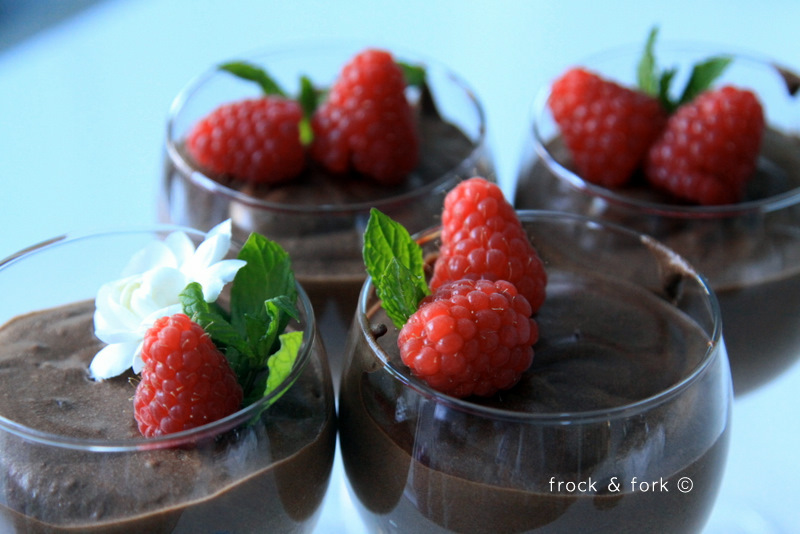 Love the flower and the raspberries – anything chocolate and lovely like this. YUMMERS! Damn right I would adore these! 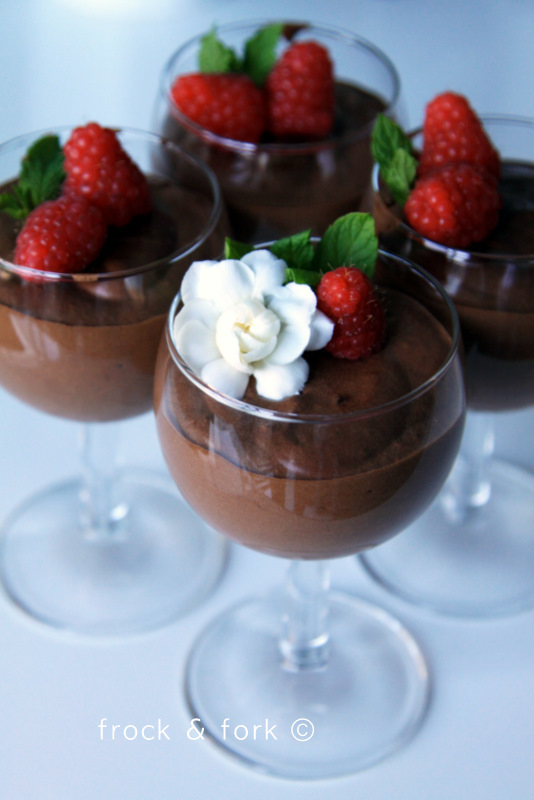 I have a passion for chocolate mousse that has been unsurpassed; my idea is just to get the best quality chocolate; yours looks so good and creamy and dark and the raspberries on top just add the right tanginess. Yum! These look fantastic! You photos also look amazing! This looks just divine. I mean… I am THIS close to licking my screen. YUMMY. I see that you’re interested and fascinated in food stuffs. 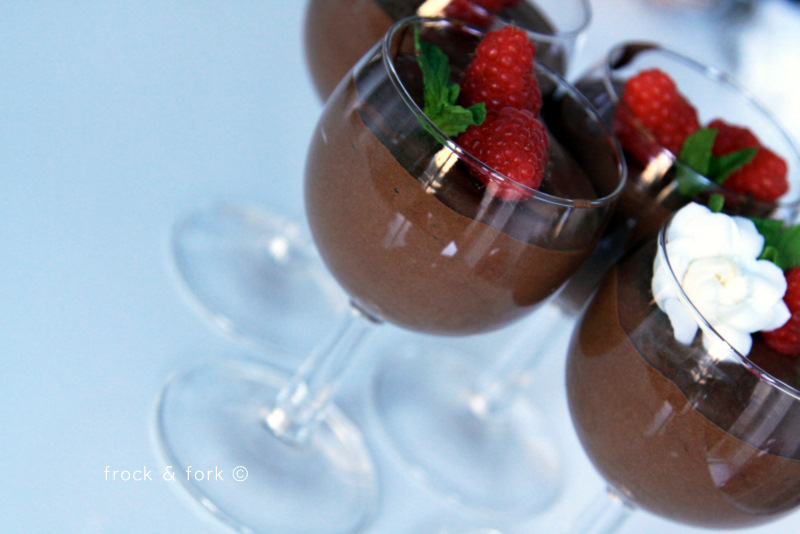 This is awesome Dark Chocolate Mousse. You see, we have this food site Foodista.com (http://www.foodista.com) that is a food and cooking encyclopedia that everyone and anyone can edit. Maybe you are interested in sharing some of recipes to us or share your knowledge about food stuffs and techniques, or maybe you just like to write reviews about food, restaurant and recipes…why don’t you visit us sometimes, if its food you’re interested in, then we are interested in you. Don’t hesitate to check us out. 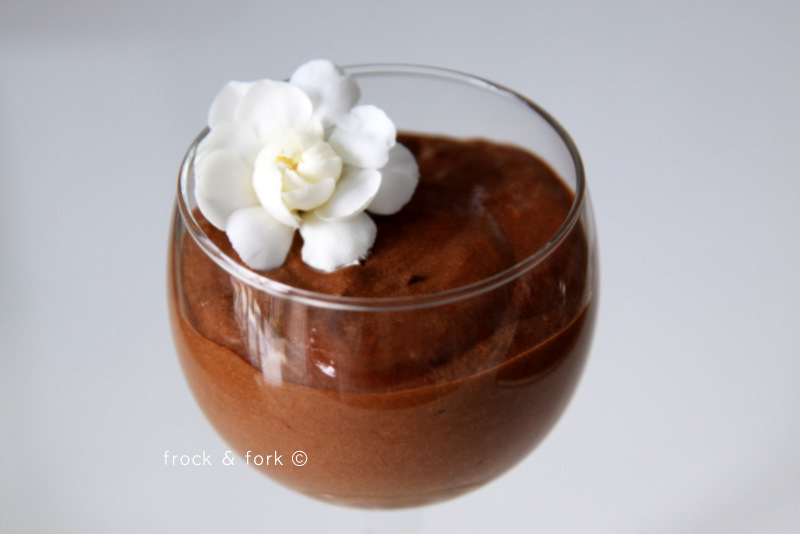 This is the kind of stuff I used to make back in high school and literally lick the bowl clean, and spoon clean, and pot clean, and well… let’s just say i love me some chocolate mousse! this is also a good base for like say, chocolate tiramisu, or a trifle cake. It has been TOO long since I’ve visited your blog, my dear! And this post is positively SINFUL. I’m drooling over my keyboard… Holy yum.